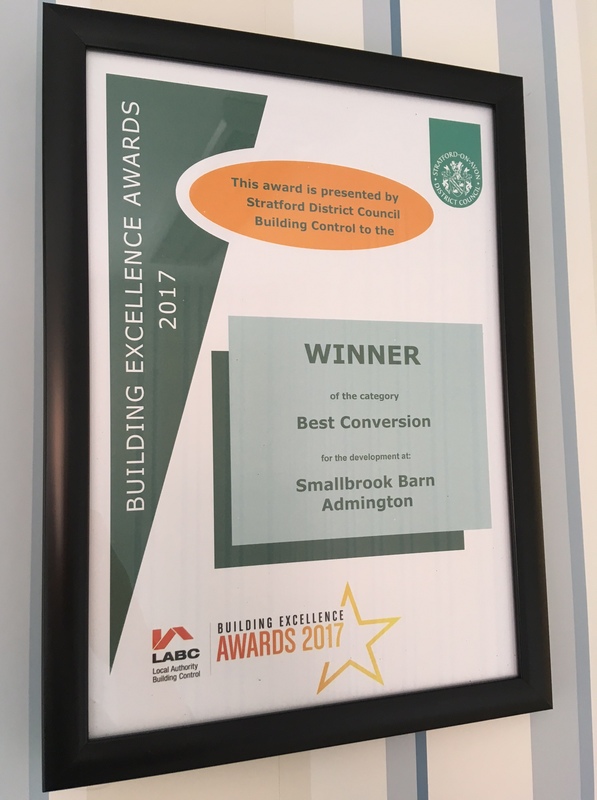 SBK are delighted to have won the Best Conversion of an Existing Building category at the Local Authority Building Control (LABC) Building Excellence Awards 2017 in conjunction with Stratford District Council. We have subsequently been put forward to the Regional Finals on Friday July 7th and hope to fare well in a much larger area of competition. Over 2,000 prospective projects were put forward for the awards in what is a very strong field. 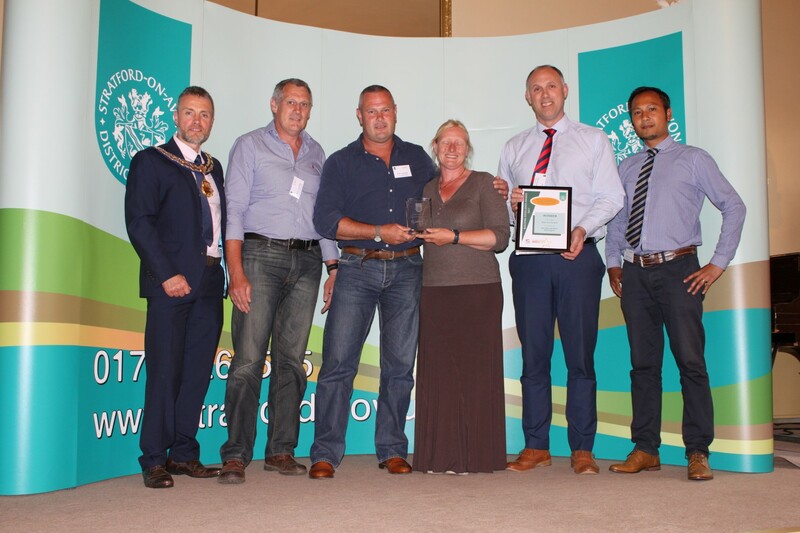 The award winning project is known as Smallbrook Barn, a large derelict building on land in the Stratford district. Our clients wished to convert this building to form one dwelling to live in themselves. However, securing the required planning consents proved challenging and it took a number of attempts to gain the required consents to convert the building to a dwelling as well as numerous additional requirements such as traffic surveys, statutory declarations and interpretation of Government guidance. The initial planning application was submitted for a change of use but was refused at the outset. A subsequent application was submitted and, once again, the planning consent refused. However, the refusal concerns were addressed and consent was eventually gained for a change of use of the building. 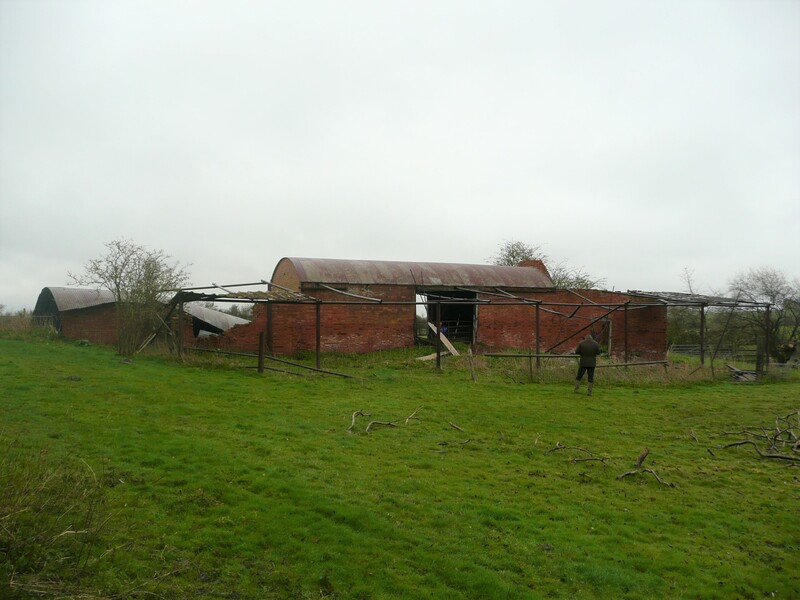 The building had many challenges as it was not a straightforward pitched roof barn but also included two separate curved roofs which had to be assessed and technically appraised to enable the correct insulation and weather tightness to enable the building to act as a dwelling. 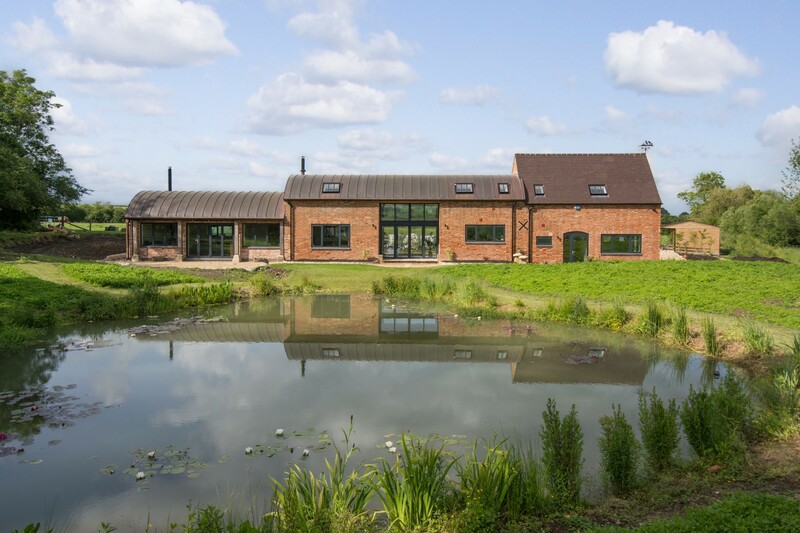 This culminated in two curved copper roofs and a pitched tiled roof giving the aesthetics of the barn its original agricultural appearance whilst being able to act as a dwelling. The technical ability of Sheldon Bosley Knight’s Planning and Architectural Team was fully utilised to enable this building to be converted and to gain approval from the Building Control Department who, by putting us forward for the award, saw that the technical use of materials and the environment were strong. The entire project from start to finish took three years; from first inspection of the building in 2014 through to completion of the Building Regulations submission planning applications, tender process, contract administration and building works until completion in 2017. It was a complex and particularly challenging project that Sheldon Bosley Knight was delighted to be involved with and the clients were thrilled with the end result culminating in this award winning achievement. Congratulations to Sam Russell MFPWS MCIAT ARICS and his team in the Planning and Architectural Department especially Architectural Technician, Panya Chaonsri. For more information or assistance regarding our planning and architectural services please contact Sam Russell at our Stratford office on 01789 292310 or email: srussell@sheldonbosleyknight.co.uk.